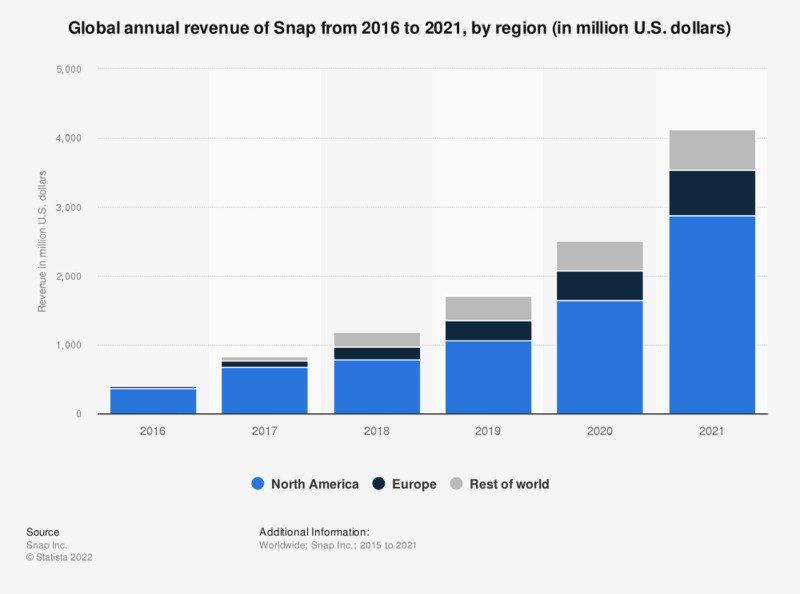 This statistic presents the annual revenue of mobile messaging platform Snap, sorted by region. In 2018, the chat app company generated 1.18 billion U.S. dollars in revenues, out of which almost 781 million U.S. dollars were generated in North American markets. >North America includes Mexico, the Caribbean, and Central America. United States revenue was $752.9 million, $643.0 million, and $355.3 million for the years ended December 31, 2018, 2017, and 2016, respectively. Europe includes Russia and Turkey. Women: Do you share and post videos you made?